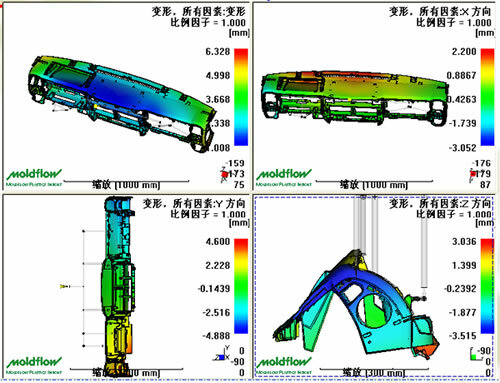 For the large mould, such as the auto parts mould,We can do mould flow analyses before we start working. 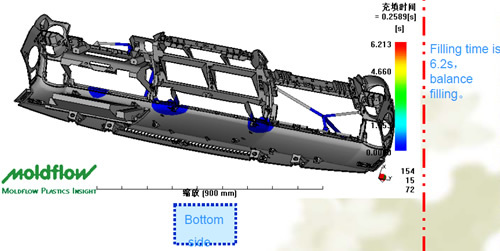 After the mould flow analyses, we decide the mould injection gates and structures. 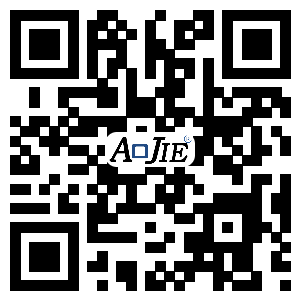 Therefore, the moulds can be finished successfully and smoothly. 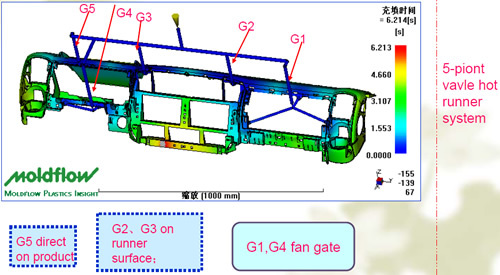 The aim of CAE analysis is manily to see if,during the whole injection process , the pressure,temperature,distortion is reasonable or not.If there is welding marking on the products’ appearance and if it is ideal.If the whole products can reach clients’ usage requement.According to our rich experience in hot runner making experience and reference result from CAE mold analysis,we will supply best injection solution. 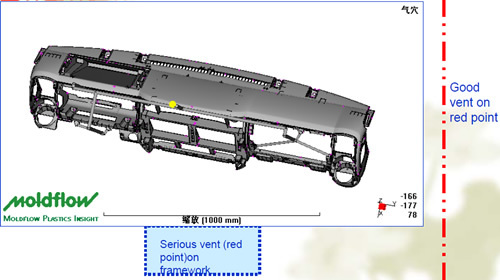 We cuse the details supplied from Kingfa Sci & Tech Co Ltd No AIP-2015 PP+EPDM+20% Talc from Moldflow data bank. Maximum filling pressure is 84Mpa,wide range on molding terms. 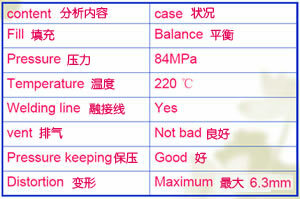 Even temperature before flowing waveEven wave,no block,productsblock,products with welding line line,settled by change mold temperature and material temperature. Other parameters are within reasonable range.